Experience the ultimate African Safari on this 6-day tour! Spot the Big Five at Serengeti, see the migratory birds and "tree climbing" lions of Lake Manyara, and trek down to the crater floor of Ngorongoro for a picnic lunch! 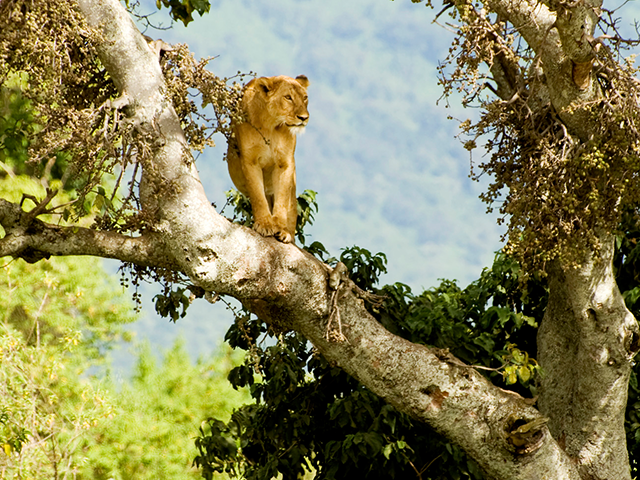 Begin your Tanzania safari at Lake Manyara, famous for its many flamingoes and tree-climbing lions. Your Tanzania wildlife holiday begins on arrival at Kilimanjaro International Airport as you travel to Lake Manyara. On arrival, you check in and spend the night at the luxurious Lake Manyara Serena Safari Lodge. 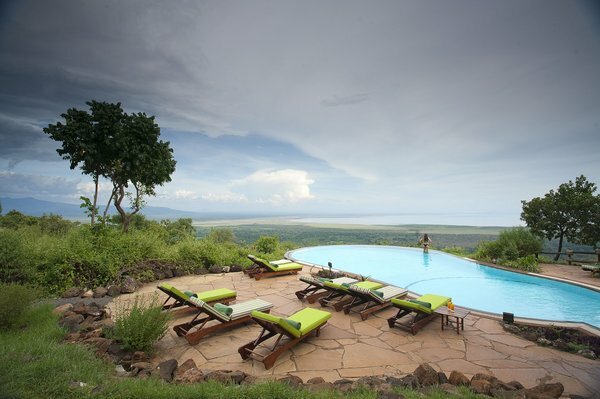 Built in traditional African style, the Lodge offers stunning views overlooking Lake Manyara's pristine waters. Rooms are housed in traditional "rondavels" i.e. circular, double-storied buildings with thatched roofs. Each spacious room has modern amenities and a small veranda. Relax at the end of your journey with a dip in the Lodge's gorgeous infinity pool! 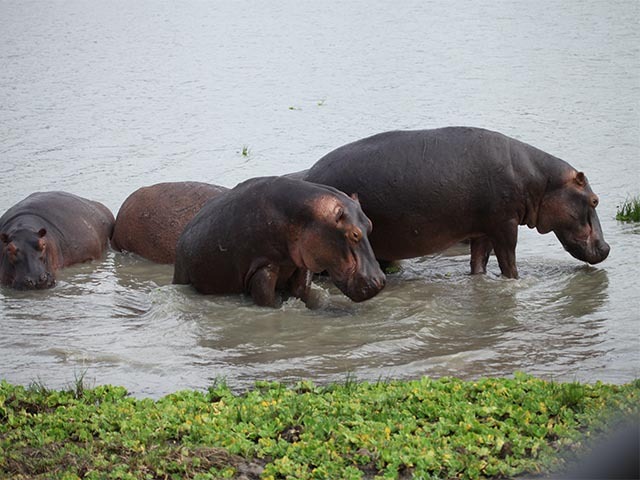 Go on a game drive across Lake Manyara National Park observing migratory birds, elephants, hippos, and tree-climbing lions. Later, travel to Serengeti National Park. Lake Manyara National Park lies in the Arusha region of northern Tanzania. The Park stretches across 330 sq km of which 230 sq km is the lake. Enjoy a morning game drive in Lake Manyara National Park whose varied habitats support elephants, hippos, monkeys, tree-climbing lions, flamingos, and many migratory birds. In the afternoon, travel to the famous Serengeti National Park and check into Serengeti Serena Safari Lodge for the night. Located next to Serengeti's famous Western Corridor and Grumeti River, the Lodge has been designed to blend in completely with its surrounding. Rooms are placed in traditional rondavels, cooled by surrounding acacia trees and watered by sparkling streams. Each room has a private balcony, spacious bedroom, and natural stone bathroom. Enjoy morning and afternoon game drives in the endless plains of the Serengeti to see great herds of wildebeests, zebras, and gazelles, or a pride of lions lounging in the shade! Serengeti National Park, in the Serengeti area of Tanzania is the country's oldest national park. Measuring 14,763 sq km, it is renowned for the annual migration of over one and a half million white-bearded wildebeests, three hundred thousand Thomson's gazelles and over two hundred thousand zebras. The Park is well known for its healthy population of the Big Five (lion, rhino, leopard, Cape buffalo and elephant). The Serengeti's biodiversity and ecological significance has earned it UNESCO World Heritage Site status. Enjoy morning and afternoon safaris into Serengeti National Park with experienced guides, and return to your lodge for the night. Experience a game drive in a new area of Serengeti National Park, and then visit Olduvai Gorge—the cradle of mankind. Travel to Ngorongoro for the night. Set out for a morning game drive in Serengeti National Park to explore a new area. Spot countless wildlife across the pridelands and then bid farewell to the savannah. Travel to Olduvai Gorge—the cradle of mankind. Olduvai Gorge is a steep-sided ravine in the Great Rift Valley. The site is known for British archaeologists Louis and Mary Leakey’s renowned archaeological discoveries. Their findings include some of the man’s earliest known ancestral remains. After spending time at Olduvai Gorge, continue driving to Ngorongoro Conservation Area and check in to Ngorongoro Serena Safari Lodge. This award-winning lodge is located on the rim of Ngorongoro Crater to offer dramatic views of the crater floor. It has been designed to blend into its surroundings such that it is nearly invisible when viewed from the crater below! 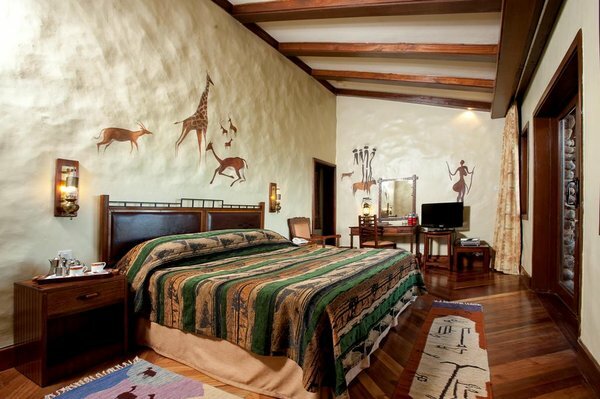 Themed after the cradle of mankind, the lodge is adorned with prehistoric style paintings and lit by torches at night. Each room has its own rock-enclosed balcony to provide you with uninterrupted views of the crater. Enjoy a day tour of Ngorongoro Crater to explore its varied landscape. Ngorongoro Conservation Area, is a UNESCO World Heritage Site situated in the Crater Highlands area of Tanzania. The Ngorongoro Caldera is the largest unbroken, un-flooded caldera in the world. Ngorongoro offers some unique sights as you see herds of wild animals grazing on the crater floor. Descend 2,000 feet (over 600m) to the floor of the crater for a day tour with a picnic lunch. Explore forest areas inhabited by monkeys and elephants, visit the lake area where you may see flamingos, and delight in the views of the open savannah where lions hunt for food. Your classic Tanzanian wildlife tour comes to an end today as you transfer to Kilimanjaro International Airport for your flight home.